The Director provides leadership for the officers of Culture Vannin as well as support and advice to the organisation's board. She works closely with other bodies, IOM Government agencies and members of the public to develop strategies and policies for the advancement of Manx culture and heritage, developing resources, products, events and opportunities. She is the first point of contact for grant applications. Breesha joined the organisation in 2008 as Manx Music Development Officer after working for six years as a lecturer at the University of Liverpool's Centre for Manx Studies, with teaching and research interests of an interdisciplinary nature. She was appointed Director in 2014. An active musician, singer and composer, Breesha has a BA in Music and Germanic Studies from the University of Sheffield, an MLitt in 20th Century German Literature and Society from the University of St Andrews and a PhD in sociolinguistics and Manx Studies from the University of Liverpool, her thesis looking at aspects of cultural revival in the Isle of Man. She started playing traditional music at school, learning Manx Gaelic on her return to the Island in 1996. She is an authority on key figures in Manx cultural revival such as Sophia Morrison and Mona Douglas. 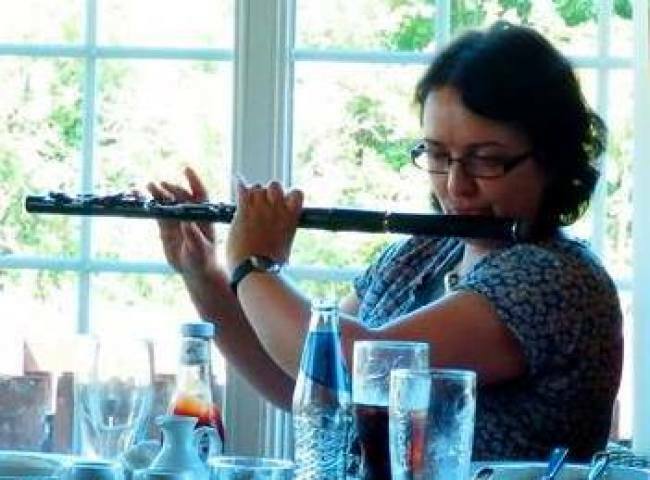 Breesha plays flute and whistles and sings with groups including Caarjyn Cooidjagh and Clash Vooar. She has extensive experience in event management and arts development, having served on IOM Arts Council for eight years, and having helped organise various festivals and events nationally and internationally. Breesha is a government appointed member of Bing Ymskealley Gaelgagh (Gaelic Broadcasting Committee).